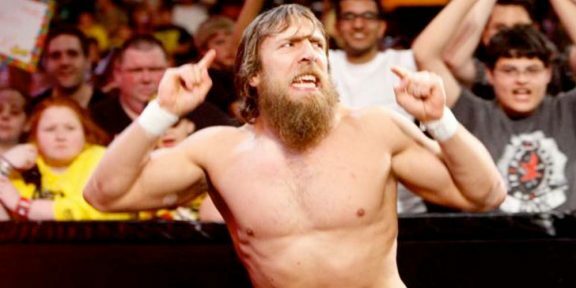 Several rumors started popping up online that Daniel Bryan is on the way of being released from the WWE, rumors which are completely false and comes with a denial from the company itself. Apparently there was a website who pasted an e-mail supposedly from a WWE employee in the human resources department who said his colleague processed Bryan’s release papers which were dated January 18. The same website turned out to be the same one which posted a news story back in October from a person who allegedly met Daniel Bryan while he was on the way to Hell In A Cell to answer John Cena’s U.S. title open challenge. Oops! Meanwhile, Bryan posted a photo doing weightlifting on Instagram writing, “Will I return to the ring? No matter what anyone says, I keep training like the answer will be #YesYesYes. #NeverGiveUp.” Bryan has been cleared by his doctor over his concussions but the WWE medical team has not done that yet. Bryan will be part of recurring cast of Total Divas season 5 which begins again on E! on January 19.